Written for and read on a computer screen, digital fiction pursues its verbal, discursive and conceptual complexity through the digital medium. It is fiction whose structure, form and meaning are dictated by the digital context in which it is produced and requires analytical approaches that are sensitive to its status as a digital artifact. 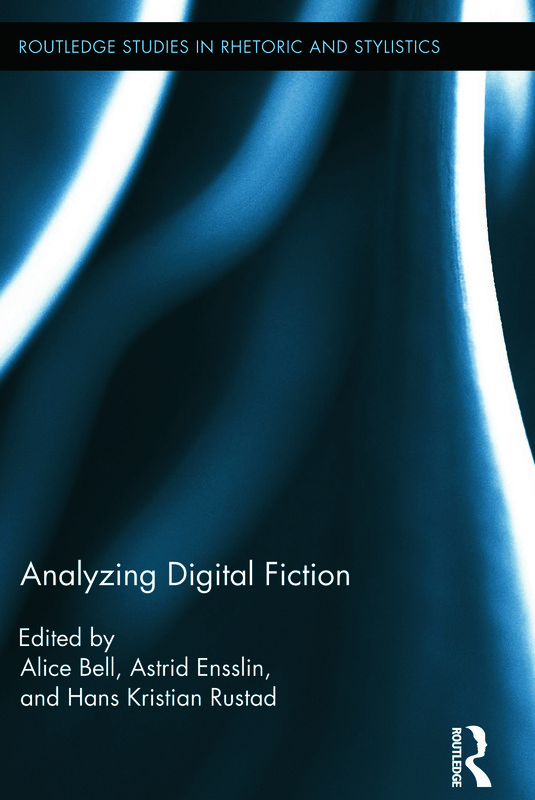 Analyzing Digital Fiction offers a collection of pioneering analyses based on replicable methodological frameworks. Chapters include analyses of hypertext fiction, Flash fiction, Twitter fiction and videogames with approaches taken from narratology, stylistics, semiotics and ludology. Essays propose ways in which digital environments can expand, challenge and test the limits of literary theories which have, until recently, predominantly been based on models and analyses of print texts. Alice Bell is Senior Lecturer in English Language and Literature at Sheffield Hallam University, UK. Astrid Ensslin is Senior Lecturer in Digital Humanities at Bangor University, UK. Hans Rustad is Associate Professor in Literature and New Media Communication at Hedmark University College, Norway.